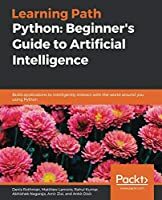 The book is divided into six chapters, the first of which provides an overview of AI research and practice in education. In turn, Chapter 2 describes a mechanism for applying data analytics to student discussions and utilizing the results for knowledge creation activities such as research. Based on discussion data analytics, Chapter 3 describes a creative activity support system that effectively utilizes the analytical results of the discussion for subsequent activities. Chapter 4 discusses the incorporation of a gamification method to evaluate and improve discussion skills while maintaining the motivation to participate in the discussion. Chapters 5 and 6 describe an advanced learning environment for honing students’ discussion and presentation skills. Two important systems proposed here are a presentation training system using virtual reality technologies, and an interactive presentation/discussion training system using a humanoid robot. In the former, the virtual space is constructed by measuring the three-dimensional shape of the actual auditorium, presentations are performed in the same way as in the real world, and the AI as audience automatically evaluates the presentation and provides feedback. In the latter, a humanoid robot makes some remarks on and asks questions about students’ presentations, and the students practice responding to it.